Aquinnah is a town known for its quiet nature and clay cliffs. 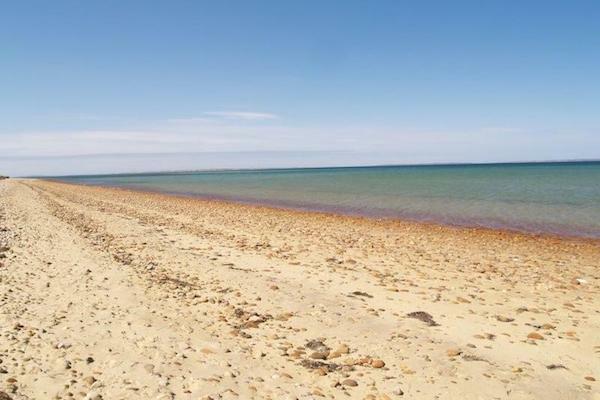 This route features the serenity of Aquinnah, with a straight 1.6 mile stretch of oceanside running on Lobsterville Beach Road. The run begins at the Aquinnah-Meneshma ferry terminal, and should be run to Lobsterville Beach and back for a full 3.2-mile loop. Both of the main roads taken on this route, W Basin Road and Lobsterville Road, have a grassy shoulder ideal for running. In season, the Aquinnah-Meneshma ferry will take bikes and pedestrians, so combine a run with lunch and an extra jaunt in Menemsha!